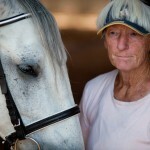 Kate Campbell discovered her love of horses nearly 10,000 miles and seven time zones from St. Ignatius, Mont. 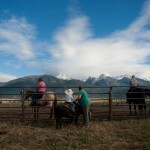 The native South African began caring and training horses as teenager near Cape Town, but today she shares her enthusiasm with horses and their owners in the shadow the Mission Mountains. 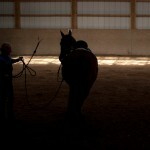 She owns and operates Red Barn Ranch, the St. Ignatius community’s only indoor and outdoor horse riding facility. 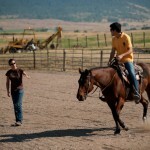 Campbell offers riding lessons and teaches customers how to treat their horses, how to train them, and how keep them safe and healthy. 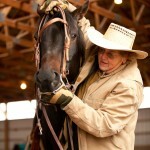 She also serves as the ranch’s caretaker. 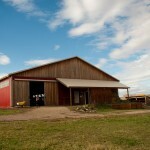 Campbell and her husband, Mike, opened the Red Barn Ranch in 2007 after purchasing the land and barn from an Amish family. 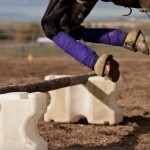 “We have been slugging away for the past four years on our business and it has flourished,” Campbell said. 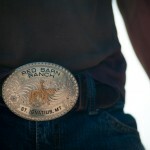 The Red Barn Ranch is a commercially run business that is open to the public. 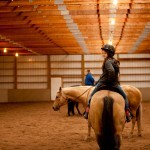 The facility has a 75-by-140-foot indoor riding arena, a 100-by-200-foot outdoor riding arena, and a 60-foot round pen. 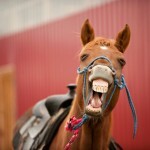 There is also a boarding facility where horses are housed, cared for and fed. 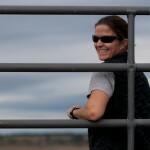 Campbell was 22 when she moved from Cape Town to Colorado. That’s where she met her husband. In 2004, the couple went on a road trip that led them to St. Ignatius. They fell in love with the town and moved there soon after. 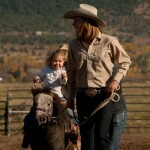 The ranch attracts riders of all ages, some as young as 8. This entry was posted in The Stories by mttownswww. Bookmark the permalink.